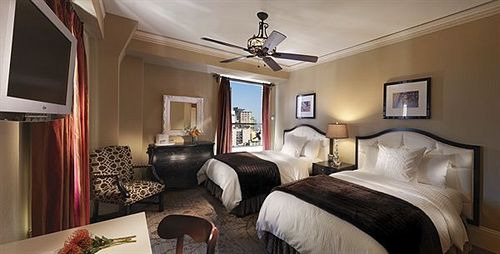 Highlighting its charm through historic Gothic-style architecture, this San Francisco hotel is situated in Union Square and Nob Hill. 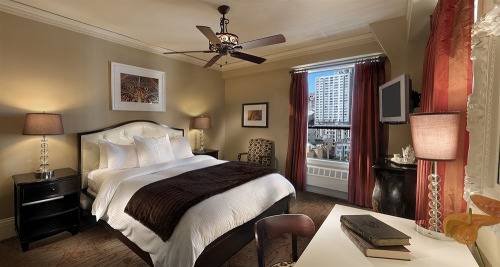 With a prime location, visitors can explore San Francisco with ease and return to boutique, cozy accommodations and convenient amenities. 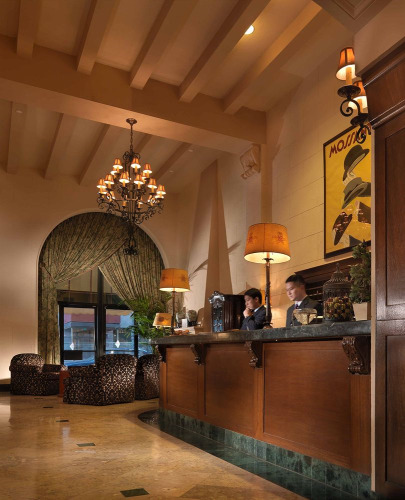 Guest services include daily tea served in the lobby, a SFO airport shuttle (fee), and complimentary WiFi. Complimentary WiFi offered to guests. Valet parking available for a daily fee. Pet-friendly accommodations offered (Dogs only). Union Square, San Francisco Playhouse, and Chinatown within walking distance. 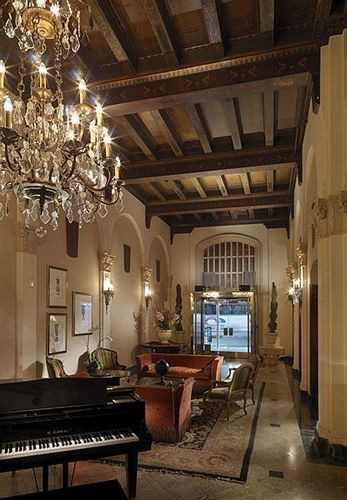 A timeless, San Francisco Hotel on Union Square. 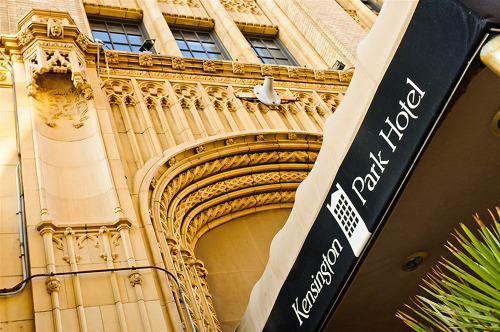 The Kensington Park Hotel, housed in a 1925 Gothic-style building, harkens back to an era of elegance in historic San Francisco. Settled in bustling Union Square and views of Nob Hill, your experience begins once you set foot into our lobby, with our hand-painted ceilings and dark-wood accents. 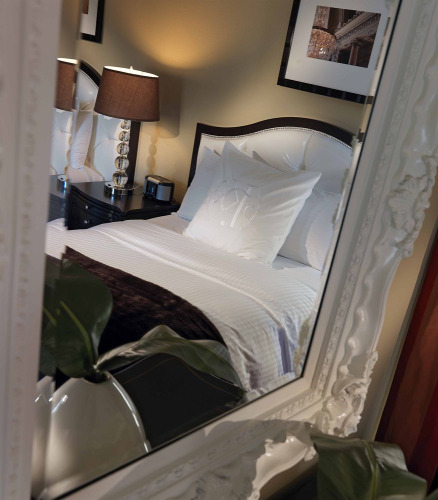 Our boutique-inspired rooms, artfully conceived to celebrate the grandeur and historic charm of The City, will be the perfect place to rest after a day of exploring San Francisco. Hop on the cable car line and discover Fisherman's Wharf, set out for the streets of North Beach, indulge your palate at a myriad of restaurants, or step just outside our doors to the browse the boutiques and shops in Union Square. 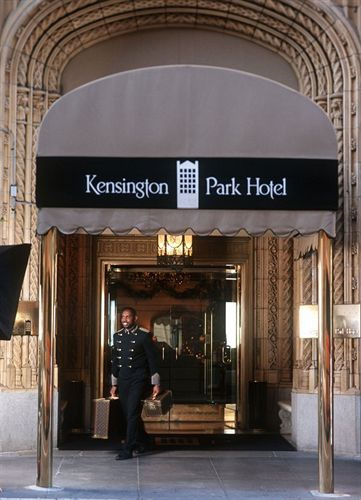 All that San Francisco has to offer is well within reach from the Kensington Park Hotel. 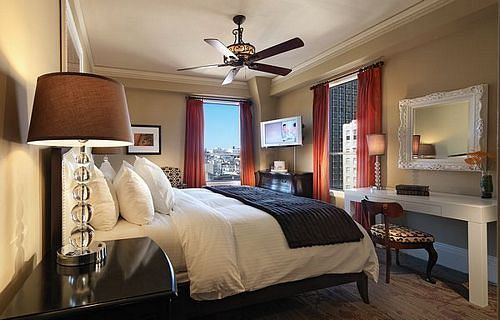 Sink into our Serta Perfect Sleeper bed, fitted with premium linens and cream tufted headboards, and wake the next day re-energized for another day of exploring in San Francisco. 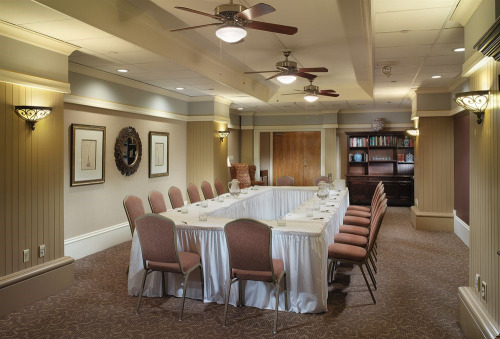 Our rooms are charming, peaceful, and classic, celebrating our rich past with modern comfort. 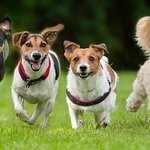 Pets allowed - Dogs only up to 40 lbs with USD 75 per pet fee. 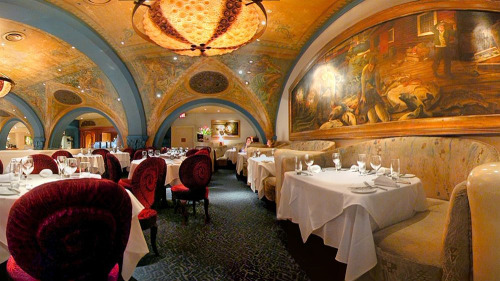 Have you been to Kensington Park Hotel? Share your knowledge and be the first to review this. "it was fine for a short business trip"
I stayed here two nights for a business trip. Front desk was VERY responsive. Found a flea in my first room, they moved me right away to another room. Sadly, first room had a view. 2nd room didn't. I was really tired from a long flight and arrived earlier in the day, the front desk found me a room right away. I was impressed with their responsiveness. Front desk said the flea was probably because they allow pets. I didn't have any bug issue in the 2nd room assigned. Hotel is a bit old.. could use an update. But it was fine. From the moment we walked in we loved it's old Architecture and felt it to be very inviting. It is definitely not a modern hotel. 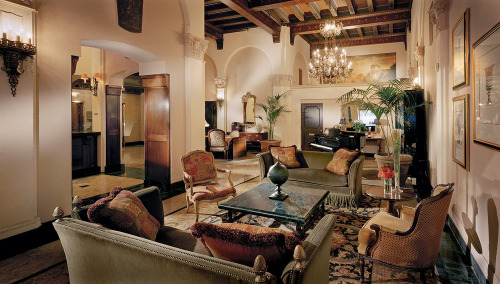 If you like the older style hotel that has been restored to its original beauty then this is a great hotel for you. The rooms area very good size with beautiful comfortable beds. 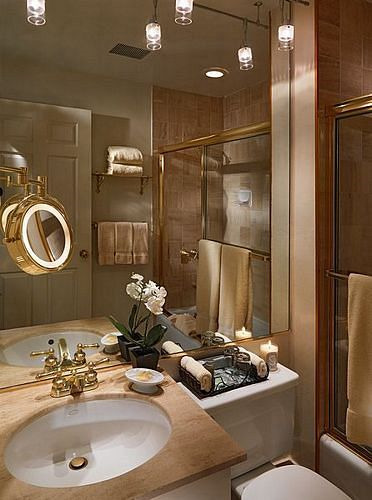 The rooms are very clean and well set out. The bathroom was a good size and clean. In the afternoons they do tea and sherry which we thought was a great touch. They so do tea and coffee with biscotti for the morning tea. Such a beautiful old hotel in the prime position of union square. You are surrounded by big name brands if you love to shop. Macy's is a 2 minute walk away which is fabulous . The tram is at the end of the street. The staff are so friendly and helpful what more could you ask for. We would definitely stay here again when we go back to San Francisco. I was attending a conference at the Hilton, and they wanted $750/night. So I stayed here, and I was glad that I did. The neighborhood begins to get sketchy here, but it's not bad at all, and the accommodations were just fine. I was coming and going late at night and early in the morning, and I didn't think there was a safety issue FWIW. As kiwi travelers we had booked the hotel months in advance only to be told when we arrived at 9pm that the room had been given away. We questioned why this had happened and were told it was because the credit card we had didn’t go through (even through this process César, on hotel night reception was extremely rude and defensive). I understood that they gave away rooms if payment doesn’t go through, however I asked why I was not notified or given a chance to rectify the situation - surely if you cancel a room you would notify the customer. César very rudely told me he had emailed me the day before and it was my fault I didn’t read it. I asked him to show me the email because I never received it. He showed me what had been sent, the address had spelt my name wrong, therefore I never received the email. I also questioned why my email address was wrong (showing César the confirmation of reservation with my email address correctly spelt - meaning this was a hotel error). Despite all of this, we told him we understood that mistakes happen but asked if he could find us another room for a similar price we had booked. Once realising he had in fact made a mistake, Cesar became very aggressive and unreasonable. We were not able to speak to anyone else apart from him and he told us he would not suggest any hotels for us in the area, that we couldn’t use wifi in the hotel because it was for guests only, and told us we needed to leave the property. This is extremely disappointing for young travellers having no where to stay in a foreign country late at night. Luckily the hotel around the corner helped us, even though they had no rooms available they called 3 nearby hotels, recommended websites for us to use, gave us water and let us use their wifi. We left the Kensington Park Hotel very upset, not understanding how someone could show such hostility and terrible service (especially since he had made a mistake). What’s worse is I have read reviews of those experiencing the same situation a month after we left, proving our experience (and private direct feedback we gave at the time) has not been heard or rectified. We don’t want others to experience what we went through - stay here at your own risk!! 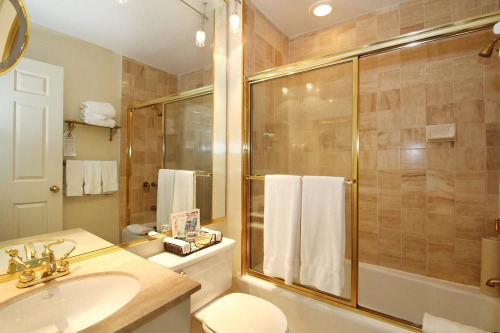 "Nice Vintage Hotel near Union Square"
Clean rooms, nice staff. A few steps from Union Square. You could reach a lot of sights and even the Moscone Center easily by feet. Complimentary tee and coffee available all day. Unfortunately no breakfast available, but right around the corner lots of cafes that provide excellent breakfast possibilities. Does the hotel offer complimentary Internet access? Yes. Dogs are welcome at the hotel with advance notice provided. One dog only, medium size (40 pounds or less). Pit Bull or Rottweiler breeds and any dog that appears to be aggressive are not accepted. A $75 non-refundable pet cleaning fee is charged at check-in. (The room must be deep cleaned after a pet departs at an additional cost to the property) This fee is non-negotiable. A $250 refundable deposit is charged to the credit card upon check in. 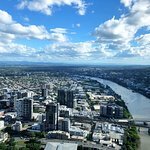 After the room is inspected by housekeeping, all or part of the deposit will be refunded based on the status of the room. 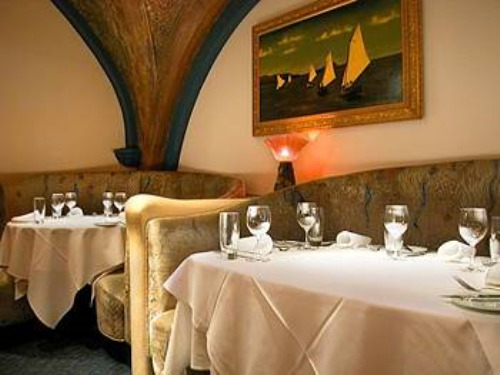 Guest must sign a written agreement upon check in that states the charges and the house rules. The dog must be secured in a kennel or removed from the room when it is being serviced. The room must be serviced daily. If the dog disturbs other guests by barking, the guest will be asked to leave with the dog without a refund. No. This is a non-smoking hotel property. What parking options are available to guests? Guests can use the valet parking service for a fee of $55 plus tax per day, and $65 plus tax per day for oversized vehicles. Yes. The shuttle may be arranged for an additional fee. 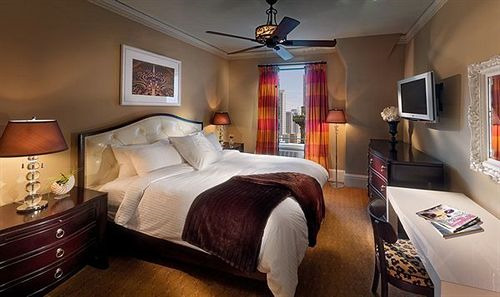 Do guestrooms include in-room safes? Yes. Extra beds may require an additional fee.